Railpictures.ca - Matt Watson Photo: FPSK ? CN 2429 and CSX 3296 lead train 347 west through the thawing prairies. | Railpictures.ca – Canadian Railway Photography – photographie ferroviaire Canadienne. Caption: FPSK ? 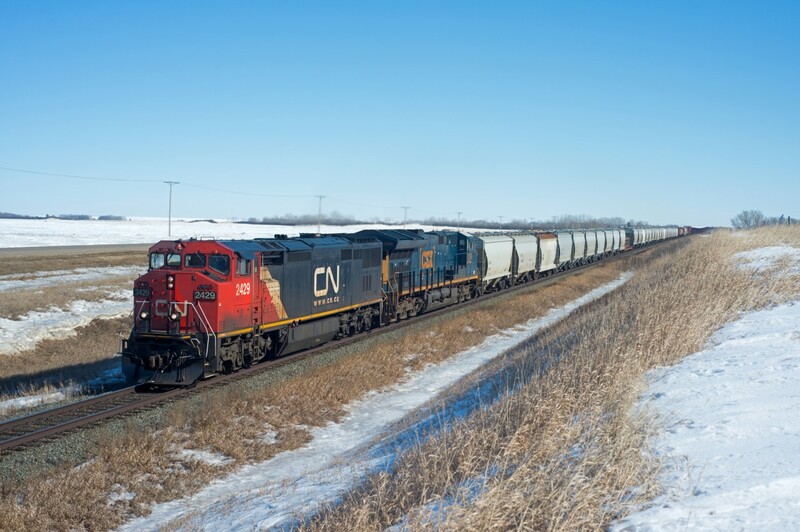 CN 2429 and CSX 3296 lead train 347 west through the thawing prairies.